Summer is in the air here in Ottawa today and my C and I got to celebrate the sunshine and warmth with Purple Eggplant Mel’s kiddos. And I am lucky enough to take full advantage of this sun by spending the evening outside tonight at a BBQ. Something about having snow for so many months of the year that makes days like this that much sweeter. I was in need of a pot luck item and a hostess gift and thought, hey, this would make a great Friday Find ! 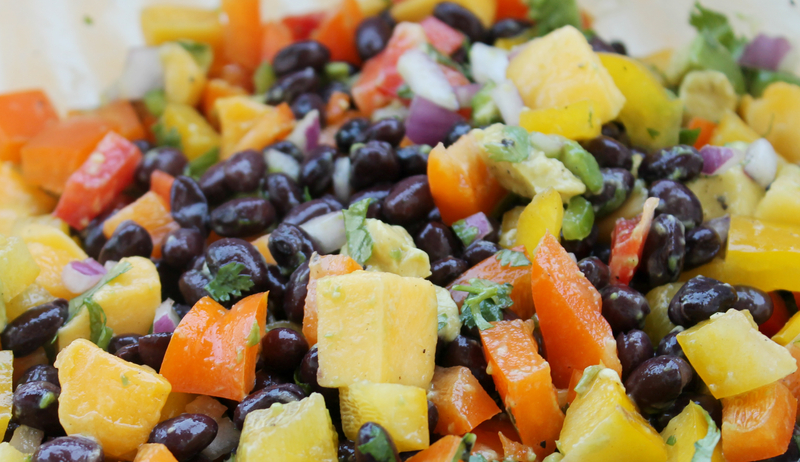 Before summer BBQs and parties get into full swing, we have a brilliant idea from the Idea Room to share with you…and a Summer Fresh Bean Salad recipe of our own! I don’t know about you, but sometimes, I see all these super wicked hostess gifts on Pinterest, but never get around to actually making one. 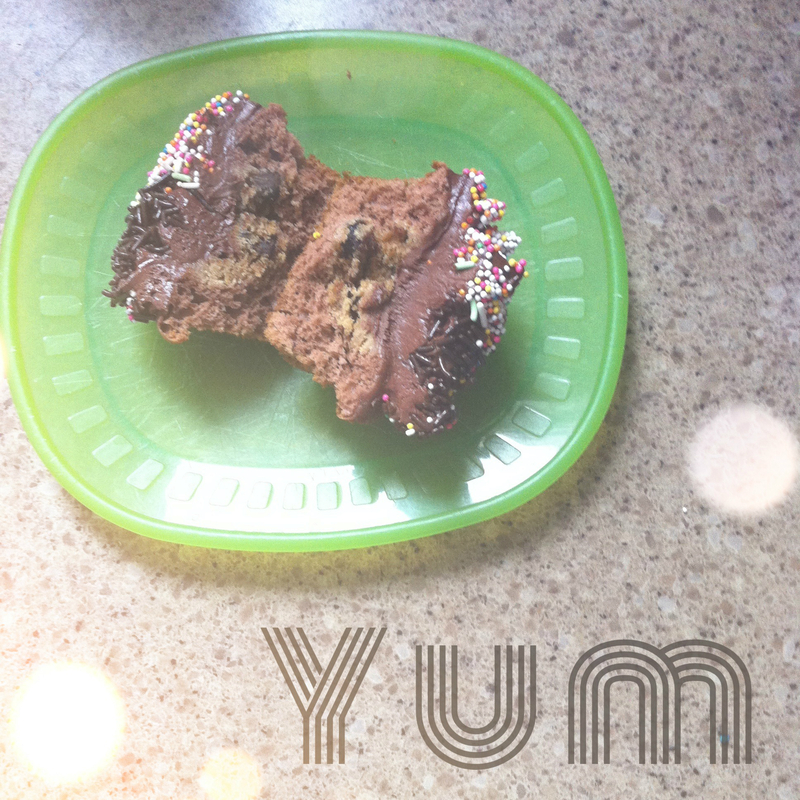 This is one that will be your go to – or at least it will be mine this summer ! So simple, adorable and brilliant ! You need only 5 supplies and it comes with a free printable. 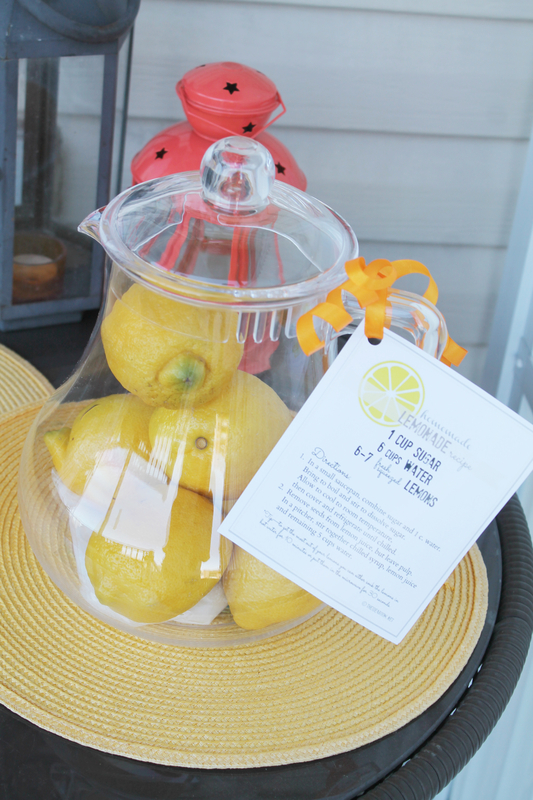 Check out the Homemade Lemonade printable and summer hostess gift from the Idea Room here. It comes together so nicely ! Hmmmm…But I think I need to pick up some yellow chevron ribbon ! I always feel a sense of fulfillment when I actually put my pins to use! I was lucky enough 2 summers ago to taste the yummiest summer salad prepared by Purple Eggplant Mel. Pulling together these simple, seasonal and fresh ingredients will make you the hit of any backyard summer party. And your body will thank you too ! We at Purple Eggplant are thinking more and more about eating healthy and whole foods, and this fits right in. 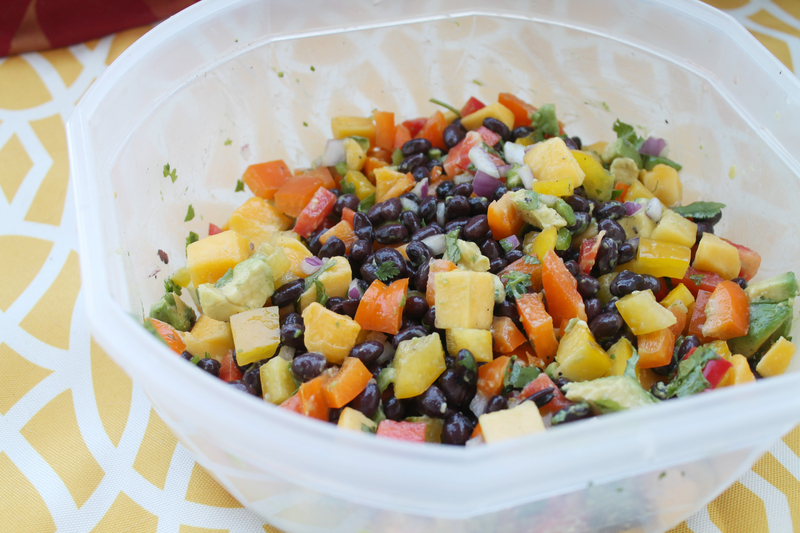 mix it all together and you have the perfect summer salad ! Do you have a go to hostess gift, or a favored pot luck item ? We’d love to hear about them !